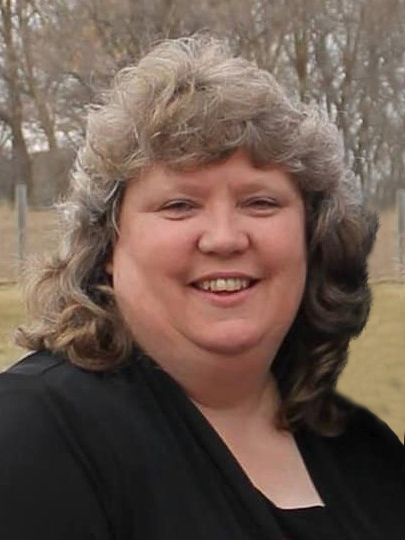 Teresa D. (Andresen) Steidl, age 53, of Carlos, died unexpectedly Wednesday, February 6, 2019, in her home. A funeral service will be held at 11 a.m., Monday, February 11, 2019, at the Prairie Event Center in Parkers Prairie with Rev. Rachel Stout officiating. Music is provided by pianist, Pam Wenzel and vocalist, Dedra Zwieg. Private interment will take place at the Swedish Lutheran Cemetery, Parkers Prairie. A visitation will take place from 3-7 p.m., Sunday, at Lind Family Funeral Home in Alexandria and will continue one hour prior to the service at the Parkers Prairie Event Center. Teresa Delight was born on August 29, 1965, to Arlan and Margaret (Zaske) Andresen in Wadena. She grew up on the family farm and graduated from Parkers Prairie High school in 1983. After school, Teresa went on to attend Alexandria Technical College, and worked at White Drug in Alexandria. Following her education, Teresa worked at Depot Express in Alexandria for 12 years. She was united in marriage to Brian Steidl on September 7, 1991, at First Evangelical Lutheran Church in Parkers Prairie. Following their marriage, they made their home in Carlos. She worked as a customer service representative at BlackRidge Bank in Carlos for the past 19 years. Her hobby was photography and she went through more cameras than cars, taking pictures of not only her son Aaron, but everyone she knew at sporting events. She enjoyed special camping trips to Maple Lake to get the perfect shot of sunrises, sunsets, wild life and wild flowers. Then came NDSU, Teresa was a proud mother of her son’s accomplishments. She will long be remembered for getting posters and tickets for anyone who wanted to attend Aaron’s football games. Everyone she met whether at a tailgate party, game or parents of her son’s team, became a friend to Teresa. Her love for people and connecting them together was a gift and her passion. Teresa especially enjoyed road trips with the Volson crew. She loved raising flowers, especially the ones she received from her father. She was a member of First Lutheran Church in Parkers Prairie and Trinity Lutheran Church in Carlos. She was Team Mom for all of Aaron’s hockey youth team, AAHA, and was a member of the Grid Club while Aaron was Captain for the Alexandria Football Team. She was preceded in death by her father, Arlan on June 10, 2018; uncle, Russ Andrews; and father-in-law, Nick Steidl. Teresa is survived by her husband of 27 years, Brian; son, Aaron (girlfriend, Katie Shoultz) Steidl of Fargo, North Dakota ; mother, Margaret Andresen of Parkers Prairie; two brothers, Mark (Julie) Andresen of Mandan, North Dakota and Tim (special friend, Kim Martel) of Parkers Prairie; mother-in-law, Judy Steidl of Miltona; sister-in-law, Bonnie (Greg) Johnson of Miltona; brothers-in-law, Vern (Jeanne) Steidl of Carlos and Bob (Shelly) Steidl of Forada; nieces, Brianna, Joycelin, and Josie; nephews, Ethan, Logan, Tyler, Bobby, Bryce, Jaden, and Easton; and a great-niece, Maci and great-nephew, Lane. Pallbearers are her nephews and godson, Spencer Yohnke. Honorary pallbearers are her nieces and great-niece. Memorials preferred to the family.